I am a very ambitious, aggressive and affirmative man in life. I am perfect and competitive in every field of Living, Loving, Caring, Sharing, Respecting, Understanding, Accomodating , Adjusting and Enjoying life with my women counterparts. 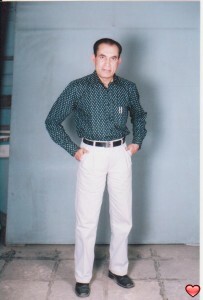 I am very energetic, enterprising, enthusiastic and efficient in complying with and performing my duties and responsibilities towards my women folk and never want to see their degradation, devaluation, deprivation, denigration, deterioration, downsizing or insults in the hands of their man counterparts in this man dominated society. In life, I believe in total Transparency, utmost Trustworthiness and full Tranquillity in my relationship with my woman counterparts, as Transparency could be a mirror for two aspirant lovers to view each other’s hearts, whereas trustworhiness is a base and backbone for their love affairs, on which the entire structure of their loving life is raised and tranquility is the result, derived from the combination of those two qualities inherited in aspiring hearts in love! Please write : ecsi05 / at / gmail / dot / com, ecsi05 / at / hotmail / dot / com, lekim05 / at / ya hoo / dot / com. SKYPE : ursulam87, micman87, mikelo87. C/Mob No : zero zero nine one eight three nine zero four two six three Nine nine. I am Highly qualified with number of Post Graduate Degrees and Diplomas. Currently working as a Vice President – Global Mktg., with Multinational Co.. Widely travelled in more than 200 countries, familiar with various global and regional languages. I am as young as 18 years, with full energy, efficiency, body force, willpower, romance and thrills and the kind of active and responsive attitudes, desired from the opposite partner. A good humourist, cracking jokes and making humours at every walk of life, making people laugh in pleasant mood and keep healthy. A good Poet, making poems on love matters, nature, sceneries, animals and greeneries as well as romantic verses. A good Article Writer, with powerful think- tank, always come with new concepts, dialogues and ideologies. Always in forefront for fighting and justifying women’s and children’ causes and concerns and treating them at par with their male counterpart. Never underestimate, downgrade, blame or insult women, but giving them patient hearing on priority basis, understanding their problems and giving them best solutions and always evaluating them at high esteem and encouraging them to perform equally in every field of their life with their man counterparts. Seeking female aspirants between 18 and 45 yrs, for friendship, fun, love, mutual enjoyment, understanding, exchange of views, chatting and everything that could be done between two loving hearts. Skype id : ursulam87, micman87, mikelo87. A VERY LOVING, CARING, AFFECTIONATE WOMAN, IRRESPECTIVE OF CASTE, CREED, REGION, RELIGION!